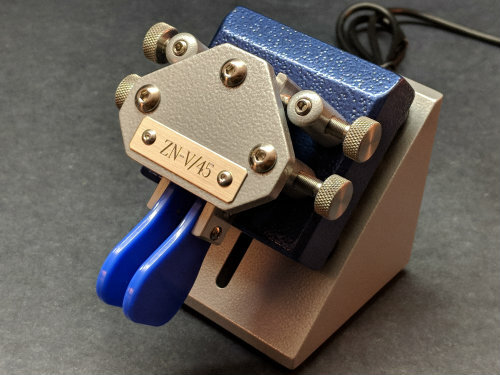 The new ZN-V/45 is a 45 degree vertically mounted paddle. It offers very generous finger space. The fingerpiece height can be adjusted by sliding the paddle up or down the slot. 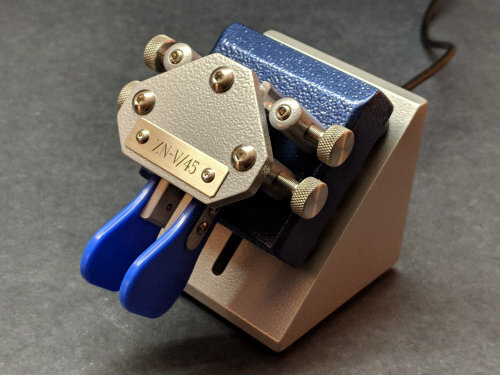 The ZN-V/45 weighs in at 3 5/8 pounds. The paddle shown has an OTO of 3/4". The Blue/Silver paddles have an OTO of 3/4" and 1/2" respectively. The paddle used on this vertical mount can be removed from the vertical mount and used as a stand alone paddle.